The American Society of News Editors and the Associated Press Media Editors offer this two-page tip sheet with some of the best wisdom of journalism organizations committed to journalist safety and the pursuit of a free and dedicated press corps. We are committed to helping our colleagues at the Capital Gazette in Annapolis, Maryland, but offer this as a guide to preparing for the worst. Your helpful advice and comments are welcome at apme@ap.org. The Associated Press Media Editors share in the shock and sadness surrounding the horrific events at the Capital Gazette in Annapolis, Maryland. While much is still to be learned, the devastating loss of life, life-altering injury to some and the trauma the co-workers and community members must feel are in our hearts and on our minds. We pledge our support in their recovery and support them in the means it takes to mend the hurt and loss. We will support these journalists to enable them to keep covering their community and standing for the values we all treasure – freedom of the press, an obligation to the truth, being on the frontline as a watchdog and a way for many to have a voice. We respect that journalists who follow this creed are human, have families, are a vital part of this great society and and are all too mortal. 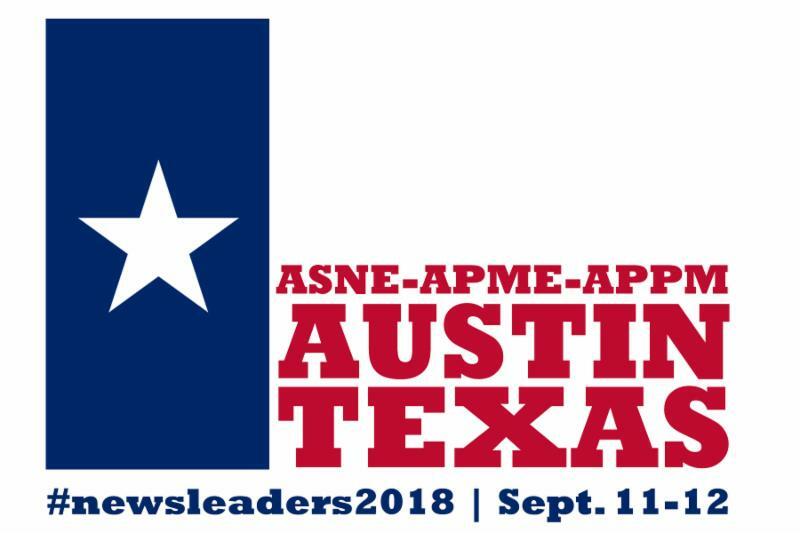 In the coming days, we hope to help in a concrete way to support the recovery, along with our partners in journalism leadership, including ASNE. Join us and, through your support, lift up our extended family at the Capital Gazette. Please donate to the fund set up by Tronc through The Community Foundation of Anne Arundel County. If you have wishes or ways to help, please email apme@ap.org. Is your newsroom or group honoring the Capital Gazette on your flag, in your intros or in other ways? We'd like to showcase these tributes and reminders in this weekly email, on apme.com and on social media. Send a link or jpg to lsellers.newstrain@gmail.com. First Amendment Watch: First Amendment Watch gives profound thanks to all those who, like the journalists in Annapolis, have sacrificed so much to advance the open discussion of ideas central to the functioning of a free society. What are the tools you need to ensure the well-being of your reporters and editors? How do you defuse potentially troublesome situations and keep them from growing into something bigger? We will review industry best practices and examine the difficult decisions we make every day. How four newsrooms used their training to drive meaningful results on the web and in business. Panelists will give speed talks on four specific successful efforts, followed by a discussion. Join us for the release of the annual ASNE diversity survey. We'll examine the representation of diverse backgrounds/experiences in newsrooms and news coverage and provide tips on recruitment and retention. Join top officials from the Maynard Institute for a truncated version of its highly sought-after Fault Lines training program and learn how its diversity framework can help your staff produce better journalism. It is impossible to keep up with all the latest developments in an industry that is constantly evolving so we will do it for you. You will learn the latest in everything from visual storytelling breakthroughs to new business models. What does it do? How much does it cost? How do I use it to tell stories in a newsroom my size? You will leave with recommendations on where you should invest your resources. We will update you on the state of video and podcasts and report back on the new startup moves in journalism, fueled by Spirited Media and The Athletic. Who do you know who lives diversity in the newsroom, in life? Montgomery Advertiser: Duty vs. dollars: What motivates underpaid officers? San Diego Union-Tribune: San Diego's efforts to divest from rival L.A. water agency have driven up rates for residents. Is it worth it? The Annapolis shooting is another reminder: It’s getting more dangerous to be a journalistNews outlets join forces to track down children separated from their parents by the U.S.
WASHINGTON - Eugene Kim, a broadcast writer and editor for The Associated Press who for 34 years wrote the AP's Today In History feature used by newspapers and broadcasters around the country, has died. He was 61. Kim, a graduate of Syracuse University, began his AP career in New York in 1981 after working as a news reporter at radio stations in Connecticut. He moved to Washington in 1983 when the AP relocated its broadcast wire operation there. In 1984, he became the writer of Today in History, the daily feature that includes a capsule summary of significant events that took place on that date. Kim was known among colleagues for his diligence in researching items for Today in History, and his determination to make sure that every item was complete and accurate. In the days before the internet, he would spend hours at a time at the Library of Congress to pin down names, places and dates. Colleagues were often able to rely on his encyclopedic knowledge to fill in gaps on stories they were writing. They also remembered Kim as unflappable, with a wry sense of humor. Greg Peppers, executive producer for AP Radio, said Kim would "go the extra mile" to confirm details in Today in History. He said Kim "took each line of it and made it his own." Peppers described Kim as a "quiet, steadfast presence on the broadcast wire desk." John McNamara was toiling as a news copy editor at the Capital Gazette when he left to pursue his dream: sports reporting. He honed his skills at the Prince George’s Journal, a competitor to the Annapolis news organization. Within a few years, the Capital Gazette hired him back. He would work there for nearly 24 years. McNamara, 56, was one of five staff members who was shot to death at the Capital Gazette on Thursday. McNamara, who went by “Mac,” was remembered by his colleagues for his flexibility, concise writing and extensive knowledge of regional sports. He had a razor wit that came in bursts like a social media post, one fellow reporter said. Outlook Editor Mitch Sneed passed away Sunday night as a result of injuries sustained in a Saturday morning automobile accident. A Ford F150 driven by Sneed, 57, was struck from behind by a Honda Accord at the intersection of Highway 280 and Highway 63. The rear bumper of Sneed’s truck was pushed under the crushed bed of the truck. Sneed was airlifted to UAB Hospital for treatment Saturday morning before succumbing to his injuries Sunday evening about 8:30 p.m. The Honda Accord sustained major damage to the front of the car and the driver sustained minor injuries. Easterwood would not speculate as to the cause of the accident. MIAMI (AP) - Retired Associated Press photojournalist Alan Diaz, whose photo of a terrified 6-year-old Cuban boy named Elian Gonzalez earned him the Pulitzer Prize, has died. He was 71.